This is actually completely wrong headed and rehashes the debates of old. The theory of evolution was very much in the air all through his life and no rational person thought that creation really happened in a day or two, anymore than anyone actually thought the world was flat. Darwin made some guesses as to the driving force of evolution and that is fair enough once you accept evolution. That they have not stood the test of time is hardly a surprise. What has stood the test of time is the mere fact of biological evolution itself and that happens to be his real contribution. What he did was take ship and gathered the masses of independent data necessary to put evolution and speciation on a rock solid foundation to which we have simply added too in the many decades following. Throw in modern statistical variation and it is unassailable. .
Charles Darwin, whose bearded face looks out at us from the £10 note, is about to be replaced by Jane Austen. I’ve spent the past five years of my life writing his biography and mastering his ideas. Which do you throw out of the balloon? Pride and Prejudice or The Origin of Species? We had our own version of a Soviet statue war in London some years ago when the statue of Darwin was moved in the Natural History Museum. It now looms over the stairs brooding over the visitors. It did originally sit there, but it was replaced by a statue of Richard Owen, who was, after all, the man who had started the Natural History Museum, and who was one of the great scientists of the 19th century. Then in 2009, the bicentenary of Darwin’s birth, Owen was booted out, and Darwin was put back, in very much the way that statues of Lenin replaced religious or monarchist icons in old Russia. By the time Owen died (1892), Darwin’s reputation was fading, and by the beginning of the 20th century it had all but been eclipsed. Then, in the early to mid 20th century, the science of genetics got going. Science rediscovered the findings of Gregor Mendel (Darwin’s contemporary) and the most stupendous changes in life sciences became possible. Watson and Crick discovered the structure of DNA, and thereafter the complexity and wonder of genetics, all demonstrable by scientific means, were laid bare. Only this week we have learned of medicine’s stupendous ability to zap embryonic, genetically transmuted disorders. Darwinism is not science as Mendelian genetics are. It is a theory whose truth is NOT universally acknowledged. But when genetics got going there was also a revival, especially in Britain, of what came to be known as neo-Darwinism, a synthesis of old Darwinian ideas with the new genetics. Why look to Darwin, who made so many mistakes, rather than to Mendel? There was a simple answer to that. Neo-Darwinism was part scientific and in part a religion, or anti-religion. Its most famous exponent alive, Richard Dawkins, said that Darwin made it possible to be an intellectually satisfied atheist. You could say that the apparently impersonal processes of genetics did the same. But the neo-Darwinians could hardly, without absurdity, make Mendel their hero since he was a Roman Catholic monk. So Darwin became the figurehead for a system of thought that (childishly) thought there was one catch-all explanation for How Things Are in nature. The great fact of evolution was an idea that had been current for at least 50 years before Darwin began his work. His own grandfather pioneered it in England, but on the continent, Goethe, Cuvier, Lamarck and many others realised that life forms evolve through myriad mutations. 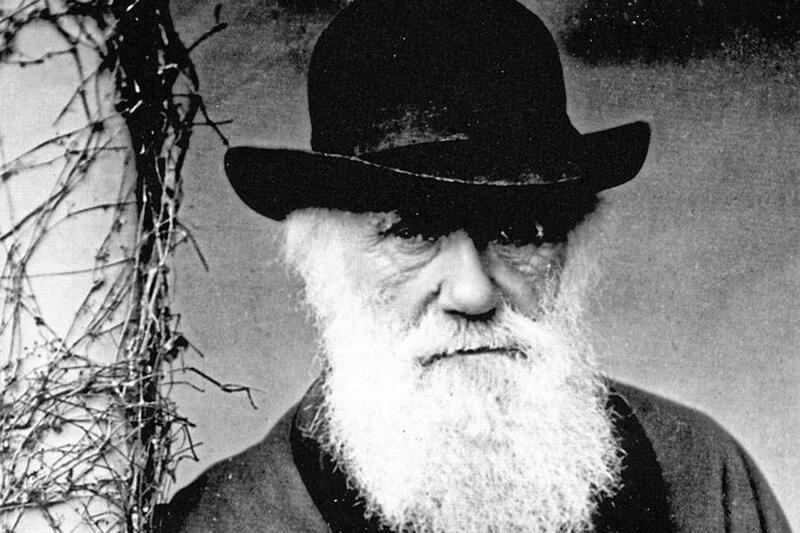 Darwin wanted to be the Man Who Invented Evolution, so he tried to airbrush all the predecessors out of the story. He even pretended that Erasmus Darwin, his grandfather, had had almost no influence on him. He then brought two new ideas to the evolutionary debate, both of which are false. Darwin’s second big idea was that Nature is always ruthless: that the strong push out the weak, that compassion and compromise are for cissies whom Nature throws to the wall. Darwin borrowed the phrase “survival of the fittest” from the now forgotten and much discredited philosopher Herbert Spencer. He invented a consolation myth for the selfish class to which he belonged, to persuade them that their neglect of the poor, and the colossal gulf between them and the poor, was the way Nature intended things. He thought his class would outbreed the “savages” (ie the brown peoples of the globe) and the feckless, drunken Irish. Stubbornly, the unfittest survived. Brown, Jewish and Irish people had more babies than the Darwin class. The Darwinians then had to devise the hateful pseudo-science of eugenics, which was a scheme to prevent the poor from breeding. Now that we have replaced Darwin on the tenner with the more benign figure of Miss Austen, is this not the moment to reconsider taking down his statue from the Natural History Museum, and replacing him with the man who was sitting on the staircase until 2009 — the museum’s founder, Richard Owen?